A report by an environmental group disregards accepted evidence about safe levels of the chemical. Startling headlines about a weed killer in children’s cereal and snack bars are swamping social media and scaring parents this month. An advocacy organization, the Environmental Working Group, said last week that it had found traces of the pesticide glyphosate, the main ingredient in Roundup, in certain popular breakfast cereals and snack bars. The group is not neutral on the issue. It actively campaigns against glyphosate, and this particular piece of research was not published in a peer-reviewed journal, which would have allowed other experts in the field to ask questions and check facts and methodology before the research was made public. The amounts found are far below the allowable limits, and anyway, most experts in the field say there’s very little evidence that glyphosate causes cancer or any other health problems in people. The Environmental Protection Agency has said for years that there’s not much evidence that the pesticide can cause cancer. “The draft human health risk assessment concludes that glyphosate is not likely to be carcinogenic to humans. The agency’s assessment found no other meaningful risks to human health when the product is used according to the pesticide label,” the EPA says. 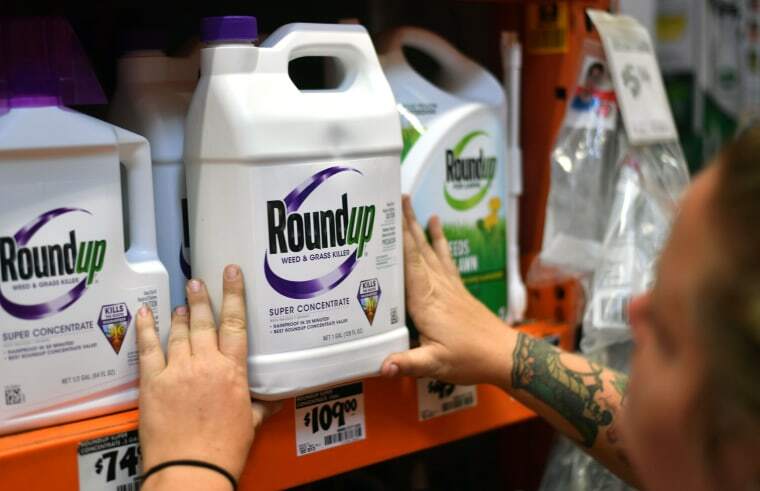 But what about the recent court case in which a California jury ordered Roundup maker Monsanto to pay $290 million in damages to a groundskeeper with non-Hodgkin’s lymphoma? American juries do not necessarily rule based on scientific evidence, and they are not required to. "From a purely scientific point of view I do not think that the judgment makes sense," Paul Pharoah, a professor of cancer epidemiology at Britain’s University of Cambridge, said after the ruling. He noted that evidence that glyphosate increases the risk of cancers such as lymphoma is "very weak." The European Food Safety Authority also said glyphosate probably doesn’t cause cancer in people. Experts have criticized various court decisions punishing companies for making consumer products that people claim have caused cancer, including talcum powder. The International Agency for Research on Cancer (IARC), part of the World Health Organization, has said glyphosate is a “probable” human carcinogen. The designation leaves room for doubt, and other panels dispute it. And just because a compound is found in food does not necessarily mean that it is causing harm. Scientists love to remind people that the dose makes the poison. “With all things, it is the level of exposure that matters,” said Fred Gould, head of the Genetic Engineering and Society Center at North Carolina State University. Gould points out that there are several steps to determining if a compound is dangerous to humans. Tests, usually done on animals, must show that it could cause harm. Then tests must be done to show how much of the compound it takes to do harm. Studies have to show that humans are in fact getting harmful doses of the compound, and more tests must show that people who are exposed to a compound have health problems more commonly than those not exposed, or than those who are exposed to less. The IARC study, Gould said, only looked at animal exposures at very high doses — much higher doses than people have ever received. “The WHO was asking, 'Would this compound potentially cause cancer?' ” he said. Other groups have asked the remaining questions and found no evidence that the pesticide hurts people. A study published in May by a team at the National Cancer Institute found no evidence linking glyphosate with cancer. The team studied nearly 45,000 people who had applied glyphosate as part of their jobs. “In this large, prospective cohort study, no association was apparent between glyphosate and any solid tumors or lymphoid malignancies overall,” they wrote. There was some evidence suggesting that people who used glyphosate in their jobs might have a higher rate of acute myeloid leukemia, but the numbers were too low to say for sure and the team said more study of that particular question would be needed. The EPA and the Food and Drug Administration say they are checking the current guidance for safe levels of glyphosate in food. The Environmental Working Group said the levels of glyphosate it found in cereals were many times lower than the safe levels set by the EPA years ago, and even below the much more stringent levels set by California’s Office of Environmental Health Hazard Assessment. California’s cancer risk assessments are based on a lifetime risk of cancer of one in 100,000 for an adult, but raises this to one in a million for water contaminants. The environmental group said it decided to add a tenfold "margin of safety" to the water contaminant thresholds. “With this additional children’s health safety factor, EWG calculated that a one-in-a-million cancer risk would be posed by ingestion of 0.01 milligrams of glyphosate per day,” the group said. Its criteria do not match anything set by international, state or local health organizations or regulators. But they convince Alex Lu, who studies children’s exposure to pesticides at the Harvard School of Public Health. Lu said he personally would not risk ingesting any pesticide if he could avoid it. “There is no safe level of carcinogen,” he said. Gould is not so worried. “We are always taking risks. Comparatively, from everything that I see, this is a small risk,” said Gould, who led a committee studying the safety of genetically engineered crops for the National Academy of Medicine. “I would eat Cheerios before and after that announcement,” Gould said.